Architecture is an inspiring atmosphere and beauty. It is the passion of creating for people in context of time and place, nature and culture. 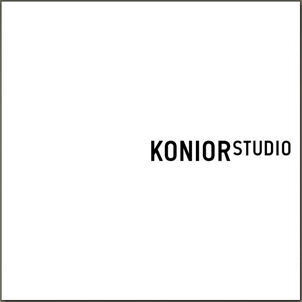 Konior Studio is an architectural office founded by Tomasz Konior in 1995. We design putting a man on the first place in context of time, place, nature and culture. The Studio is based in Katowice with a branch office in Warsaw. The team consists of almost 30 architects. The most challenging and the most complex of our projects was the realization of the seat of the National Polish Radio Symphony Orchestra in Katowice with a unique, world-class concert hall for 1800 music lovers and a 300-seat chamber hall. For the team the most important and at the same time the most valuable in architecture is its connection with a city – the way a dense urban tissue creates diverse places as well as atmosphere and identity of public spaces. A good continuation and a constructing tradition allows to create a coherent city which meets the needs of its users. 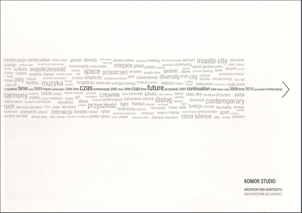 Tomasz Konior has been the laureate of this year's award Accessibility Leader in the category Architect/Urban planner. 3rd place in the Shopping Center of the Year category for Supersam. for the architectural design project: "New Library of the Republic of Poland - project of modernization of reading rooms and public spaces of the National Library". in "The best changes of public space - a review of the awarded projects on the occasion of the 25th anniversary of transformation" competition in the category "Space of beauty" for the project "Katowice NOSPR - the surroundings"
Association of Polish Architects SARP, Katowice branch, has nominated the Parkowa Villas in Katowice in the Silesian Voivodeship Architecture of the Year 2015 contest. Rewarded by the Silesian Regional Economy Chamber to Tomasz Konior for the seat of NPRSO in the "Event of the Year 2014" category. for Tomasz Konior. The international jury of the competition organized by The Chicago Athenaeum and the European Center for Architecture awarded the top 40 young architects among hundreds of applications.